The sale of High Birkwith farm was reported on this thread back in August https://ukcaving.com/board/index.php?topic=23868.0 It would appear that the sale has now gone through and there are new owners in the process of moving in. This will affect the popular caves of Calf Holes, Browgill, Old Ing, Birkwith and Dismal Hill which are used extensively for novice trips by clubs and outdoor groups alike. It must be expected that with a change of ownership, previous access arrangements may not continue. 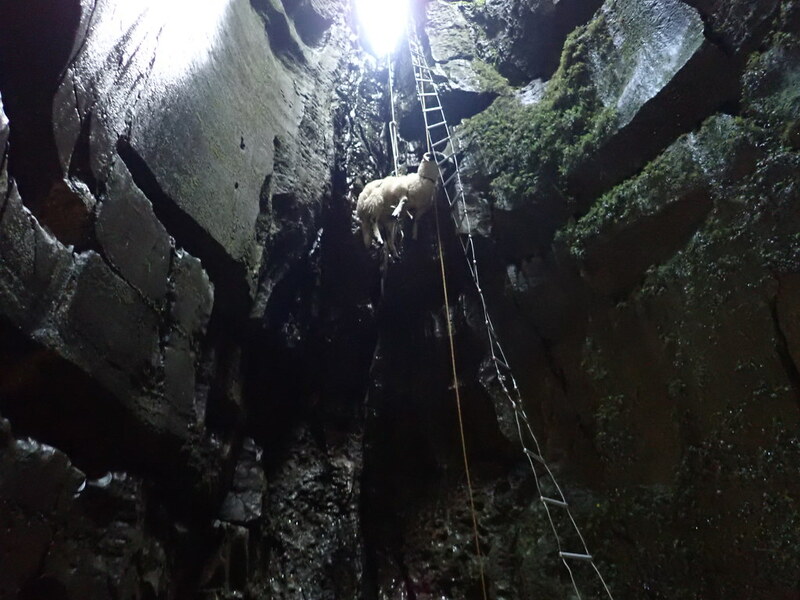 This would appear to be the case and early reports suggest the new owners may not wish to give the same freedoms of access that cavers have enjoyed for many years. If you visit these caves please be aware of this change of ownership and expect that access to park cars and to the caves may be denied. Most important of all please be especially respectful and courteous as the impression you give the new owners of cavers in the first few encounters may set the tone of future relationships to come. These caves are not on access land so there are no rights other than the footpaths and bridle ways which cross the farm. If we wish to maintain access to these important beginner caves then we need to act as a responsible community. Please be smart. 10 Likes langcliffe, steviet_scg, HardenClimber3, gardouth, aricooperdavis and 5 more people like this. Thanks for the update,fingers crossed access can be maintained. 3 Likes adventurebarbie, PeteHall and The_quiche_whisperer like this. Red Moss will also be harder to access. I know someone who may be going to ask permission (politely!) for one of the Birkwith caves later this week. If that happens, I'll post an update on what sort of reception they got. If I don't post this information, it means there's nowt extra to tell. Well done for posting that image HardenClimber3. I remember many years ago the British Sub Aqua Club had a campaign along the lines of "You're safer with a diver on the beach". (It was to do with all divers having at least basic skills in CPR and first aid, so if a member of the public got into difficulties, any sports divers present could help quickly.) In a similar sort of way, maybe we ought to flag up the fact that cavers are always happy to help the farming community whenever an opportunity arises? 4 Likes mch, adventurebarbie, PeteHall and Balmerfish like this. I really hope that access can be negotiated especially due to the nature, accessibility and beauty of those caves. Those caves I'm sure many will agree have been the starting point and subsequent inspiration for lots of many great caving experiences and exploration. I am however assured by Tim being our representative for the caving community, in its many forms and shapes and I hope that an agreement can be negotiated that is beneficial and tolerable by both parties. That seems a fair comment. Let 'em get properly settled in, get Christmas etc over - and then leave it to the CNCC to make proper arrangements thereafter. There's no shortage of alternative places to go caving around the Dales. The CNCC has not asked cavers to keep away from High Birkwith. We have informed everyone that there has been a change of ownership and that they should not assume that previous access arrangements will continue. Most importantly everyone who contacts the new owners should be respectful and courteous and have in mind that the impression cavers set in the early weeks may well set the tone for our future relationship. I know several groups have been up to the farm and granted access to the caves. This was not the case initially and the owners do have some access concerns. The CNCC has spoken with the new owners on several occasions and have a provisional meeting to discuss access concerns in more detail arranged for the new year (at the request of the owners). Until then and while the owners settle in to their new home please continue to be on your best behaviour. 7 Likes paul, badger, Robert Scott, Goydenman, HardenClimber3 and 2 more people like this. I've pulled 3 sheep out of Calf Holes over the years in a similar way to the photo. Just as a "by the way" and not diminishing from the excellent reporting so far; Calf Holes is not on High Birkwith land. Browgill and everything to west of the track next to Calf Holes (the other side of the track) IS on High Birkwith Land. And you park on High Birkwith land in the places that they ask you to in order to get to Calf Holes. I visited on Sunday with a view to taking SUSS novices down Calf Holes, paid a courtesy call not knowing what to expect - I was asked to pay £10 per car to park beyond the gate. I asked if I could park back down the lane and cross the owner's land on foot to access the cave, he advised me to park way back along the road and not to block any gates or lay-bys. Not sure if this is a similar experience other people have had or if I just caught the owner on the wrong day. £10 seemed to be too steep for me to believe he actually expects people to pay that much and he'd just rather they kept their cars off his land. I know the previous owners asked for a much smaller fee for the same privilege. Looks like it's best to park in Horton and then do a long walk. As the cave is a short trip I guess it makes more a day out of it? If I ever do go there again, I will know to bring my mountain bike, but the land owner would probably want to charge at least a fiver for that! The CNCC are speaking with the High Birkwith owners at present about this. The likely outcome is that access to the caves will be free but there will be a charge to park. At present he has set this at £10 per car. Unfortunately there are few options to park elsewhere which doesn't include a long walk. We will let everyone know the final outcome soon. Is there a foot path going from Selside? I can see why he wants to set it per car - it's the car which does the damage to the track, not the person. If there were 4 of you, you could park elsewhere and pile into 1 car for the final approach, when £2.50 per person doesn't feel quite so bad. But you'd have to find somewhere for the other 3 cars - I don't know what the official parking in Horton is, but the "private enterprise" parking could be £9 for 3 cars. Is he charging the same for minibuses? Alex - there's a public right of way from Selside, 3-4km, but I don't know what the river crossing is like - there isn't a bridge. Coincidentally I took the path from Selside to High Birkwith (on the bike) yesterday. It’s just over 2 miles from the parking - there’s a footbridge over the Ribble, and another one over Coppy Gill just beyond. It’s a pretty easy walk. OK, correction to my post: There isn't a bridge marked on the OS map. Good to know there's a bridge - looks like you could include the path in a nice short circular walk. remind me how much Alum Pot charges ? In addition to the path, the peninne bridleway, leaves the road at SD 7870 7473, a bit to the South. I think there is some nearby parking, but it falls into Horton's goole black hole. These are a bit quicker than walking from Horton, but there needs to be some thought about parking so we don't inconvenience the folk in Selside (I've found the farmers round there to be friendly & helpful...so lets not abuse that).